No chemicals, no herbal ingredients, no invasive surgery, Obalon is a miniature balloon that expands in the stomach to make you feel full and therefore preventing overeating. Obalon is aimed at people who are not sufficiently overweight to qualify for weight loss surgery, but who want to take action and try a non-invasive option. Obalon costs from £2,995 for two balloon insertions and is currently only available through private medical care. The deflated balloon is contained in a capsule, attached to the capsule is a small hollow tube. 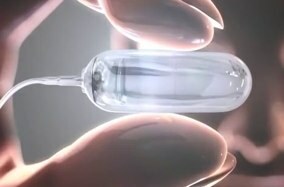 The capsule is swallowed by the patient and once it reaches the stomach, air is blown through the tube to inflate the balloon to the size of an apple. The tube is removed and the capsule dissolves once the balloon inflates. The balloon gives patients the feeling that they are full so that they will eat less. Up to three balloons can be inserted over a period of 12 weeks, depending on the patient’s progress and appetite. Once treatment is completed, the balloons are deflated and removed in an outpatient procedure. The treatment is a kick-start to help patients change their eating habits to eat less, and as a result lessen their appetite and encourage weight loss. Contains nothing that is digestible. The balloons, after a period, deflate and are removed with a short procedure once the treatment is complete. Obalon is not the first balloon weight loss solution on the market. While it may sound novel, other balloon based treatments have been around for a years. However Obalon is the first that can be swallowed by the patient and be implanted with non-invasive surgery. Obalon just launched at the beginning of the year, and only in the Europe. Its launch has meant that there is currently a lot of media interest in the product particularly from daily broadsheet lifestyle sections, health, weight and fitness publications and online. Most reporting is balanced, giving factual information about the product, but there is excitement because of how easy it is to take. While Obalon has only just launched, clinical trials in the UK and in the US have shown that patients lose an average of 1st 3lbs in 12 weeks. The company has garnered patient case studies and medical comment on the product to support its launch. The main case study is 43 year old Helene Fleckney from Hertfordshire who has a history of heart disease and diabetes so she wanted to lower her risk of susceptibility. Mid-way through her treatment she had lost one stone in weight. Sally Norton, an NHS weight loss keyhole surgeon has said she’s excited about Obalon’s potential to help overweight people change their eating habits, which is necessary for long term weight loss. Once the balloon is in place some people feel pressure, cramping, or discomfort in the abdominal area. This is usually at the beginning, but once the body is used to it these tend to subside. Some people may experience nausea and vomiting. This usually occurs during the first few days following the placement of the balloon. 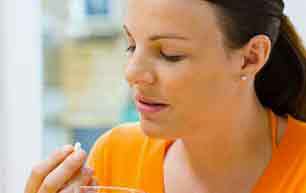 Medications can help to manage discomfort. Upon taking the treatment patients are asked to take stomach acid reducing, non-prescription medication. The Obalon treatment looks to be a good option for people with weight management problems, who would like to take action, but don’t qualify for surgical procedures. The capsule mechanism means that it’s a relatively simple, easy procedure and means that it’s more accessible, even though not available on the NHS as yet. Suppressing the appetite (what Obalon essentially does) is one of the most effective methods of weight loss and contributes the most to permanent weight loss. 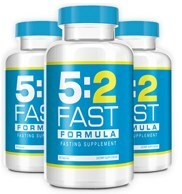 A product that suppresses appetite without any sort of invasive procedure is the 5:2 Fast Formula. The 5:2 Fast Formula contains a gelatinous mass than expands when it is swallowed. It cost a great deal less.